The present study is very optimistic towards the development in dosage forms loaded with synthetic and herbal drug combination. The simultaneous estimation was done by using Spectrophotometric method, using ethanol as solvent. Stock solutions of ornidazole and curcumin were diluted to a final concentration of 10 µg/ml. 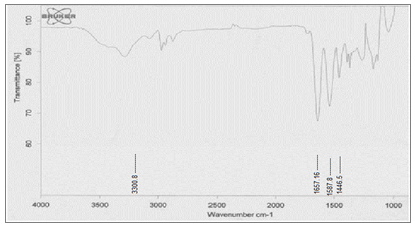 UV scans of 10 µg/ml solution of both drugs combinations showed the absorption maxima at 319 nm and 430 nm respectively by using ethanol as blank. The colored complex obeyed Beer’s law in the concentration range of 1 to 10 µg/ml. The above method was a rapid tool for routine analysis of ornidazole and curcumin in the bulk. The recovery studies confirmed the accuracy and precision of the method. Sukhbir Kaur, Lavleen Kaur. Spectrophotometric method for simultaneous estimation of ornidazole and curcumin in pure form. 2014; 3(5): 01-04.